*Today I am participating in Mama Kat’s Writer’s Workshop by answering the prompt: 4.) 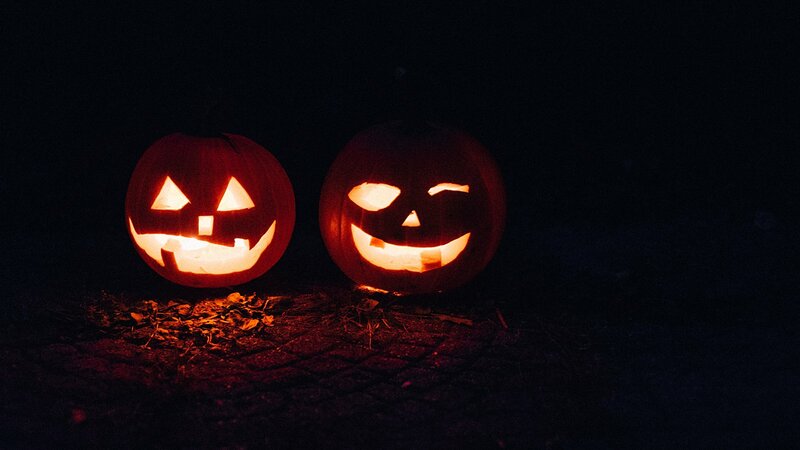 Link up and show us something you’ve created for Halloween, anything qualifies…costumes, recipes, crafts, party invites, treats, decorations etc..
Girly is an apple this Halloween. No, she’s not a piece of fruit, she’s an Apple brand product. An iPhone, to be exact. 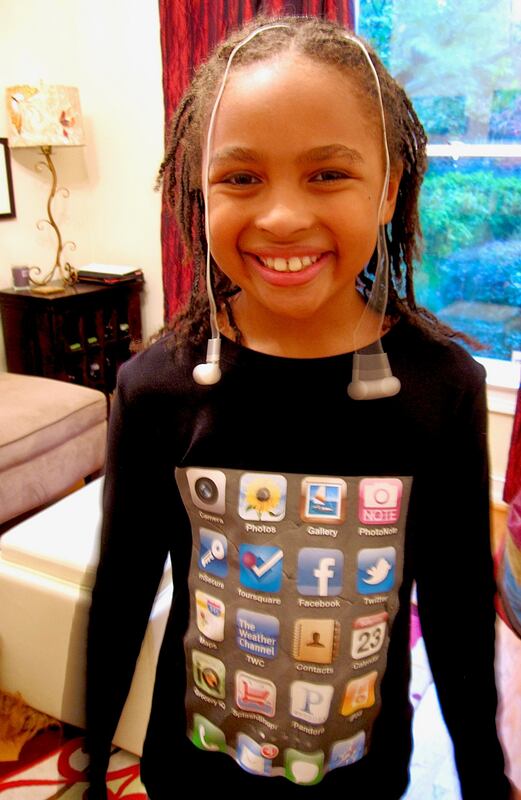 See the earbuds dangling from her head and the apps on her chest? Those are actually the apps on my phone. She thought of this costume all by herself; I just executed her design. Visit Mama Kat’s Losin It to write a prompt of your own. And THIS is why I love this kid so! Brilliant! She is truly her parents’ daughter (and an Apple snob)! That is so cute and creative. Now you need to see if Apple will sponsor her! Oh yeah, Apple needs to sponsor her…she can use the products better than I can! Adorable! This picture made me smile and literally laugh out loud. What a clever little girl you have there! That is hilarious and a true sign of the times. What we’ve got going here: by morning (for school) one Mad Sceintist and one Recycled Superhero (or Recycling Hero, or…?). Add Pippi Longstocking meets Clockwork Orange (Clockwork Pippi) and White Trash for trick-or-treating Sunday. I love costume mash-ups; a few years ago my daughter was a super-hero cow (a cow with a cape). That is so cute and very inventive! I’m always so impressed when people come up with stuff like that, since I never do. Thats so cool! What a good idea! This is SO cute!! What a great idea…smart girly you have there. *stoppin’ by from Mama Kat’s! Very creative costume 🙂 She is so cool! Love it. And why don’t we have any idea what our 3 girls are going to be? Lamar, this is all her idea….she is motivated by getting candy! Very creative costume. Love her uniqueness. Sooooo creative! I love it! Now following you! I think she’s going to wear a black tutu and leggings with the shirt. Sadly, she gave up pink.